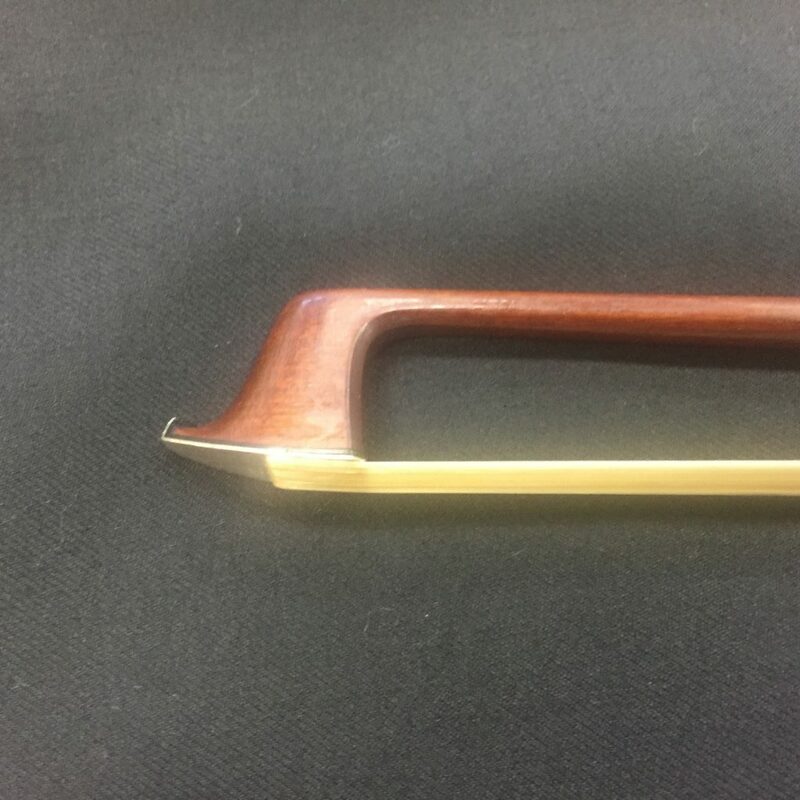 A beautiful professional level WE Hill and Son Violin Bow. 60gram, round pernambuco stick with silver face. Silver mounted ebony frog. Valuation available upon request. Markings indicate it was made by Sidney Yeoman who joined Hills in 1885. The silver mounting shows this was a higher level bow at the time it was made. Some wear to the frog but that is to be expected given the age. The stick is immaculate.